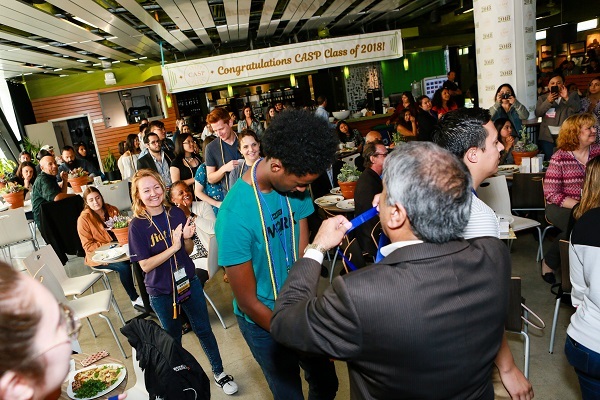 More than 100 Chancellor’s Associate Scholars are graduating this year – the largest class of scholars since the creation of the scholarship in 2013. 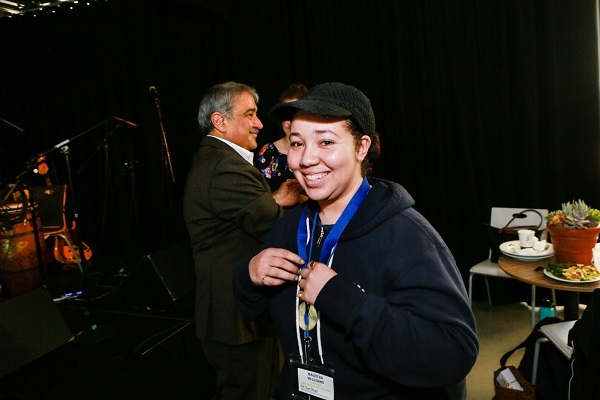 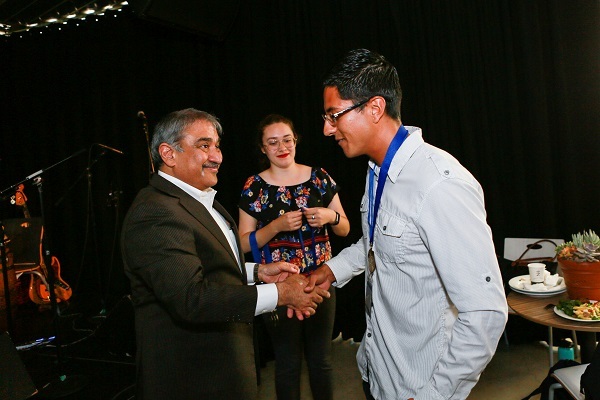 Chancellor Khosla attended a special lunch for the graduates at The Loft this week, where he awarded recognition medals and expressed his pride in their hard work and commitment to their educational goals. 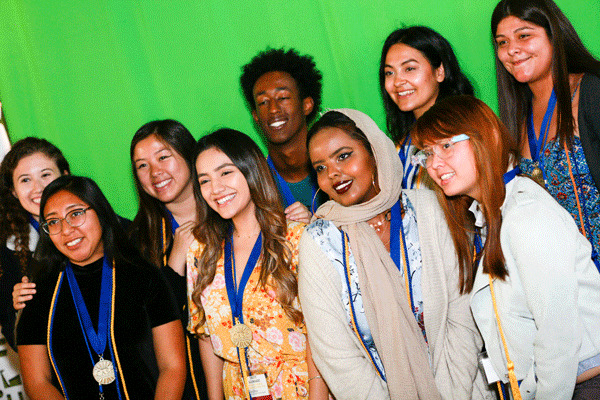 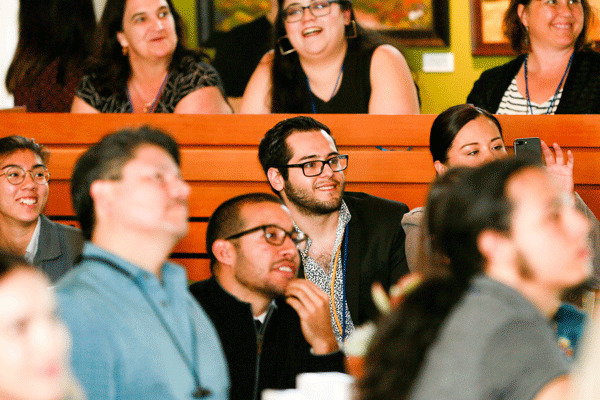 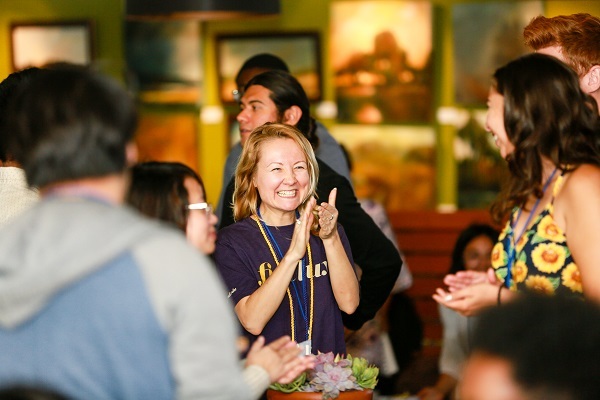 The Chancellor established the scholarship program to ensure that UC San Diego is accessible and affordable for local and high-achieving students, particularly those from low-income families in underrepresented communities. 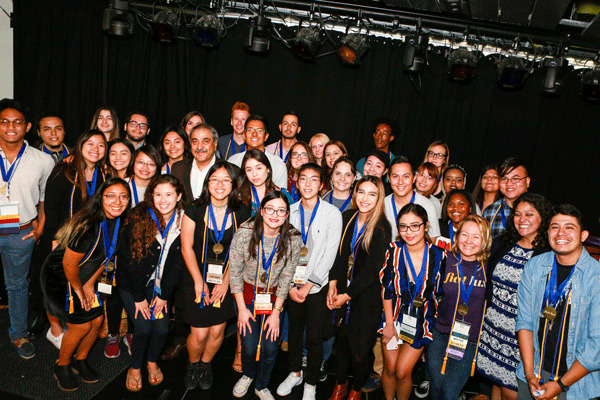 During his remarks, Chancellor Khosla urged the graduating class of scholars to use their education to improve our community and world, and reminded them that UC San Diego will always be their home.